Once upon a time, there was a little known marketing strategy for brands called The Celebrity Endorsement. Brands would gift their product to celebrities in hopes they would be seen wearing them, using them, drinking them, etc. The best scenario would be for them to be photographed wearing them on the red carpet, or in a magazine walking down the streets of NYC product in tow. Today, celebrities are still very much in demand, but there is a new "star" on the horizon; the social influencer. A social influencer, or as I like to call them, social tastemaker, are the unknowns who seem to become an Internet sensation overnight. The one who's YouTube video goes viral and creates a loyal following, or the ones who have hundreds of thousands to millions of Instagram followers just waiting to see what they post next. The difference between the celebrity effect and the social tastemaker is most often the following. Each have large audiences but with one key difference; the level influence. Celebrity followers love knowing where they shop, how they vacation, and their favorite designers. It builds brand awareness, but not necessarily sales. Social tastemakers growth happens organically over time and is a result of fan following because of similar beliefs, likes or mindset. In many instances, the social tastemakers influence can be substantial. 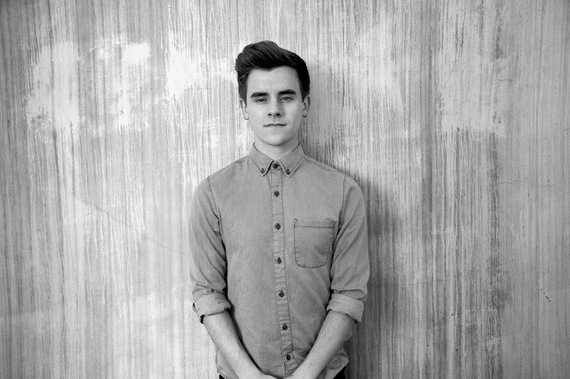 For example, one of the current hot social tastemakers is 22 year old Connor Franta. Four years ago Franta was a fan of watching YouTube videos when he decided to try his hand at creating them. He had been searching for a fun, creative outlet to share his inner thoughts on kindness and positivity and thought YouTube might be the answer. It wasn't long before he had an impressive number of fans, and they all wanted to know more about what he liked in music, to clothes and event what was the last movie he had seen. Fast forward to 2014, and Franata has 3 million Instagram fans, 3.5 million that love his YouTube videos and another 500,000 on Spotify. And he has never starred in one TV show or sang at a concert arena. His strong array of followers didn't go unnoticed. Ryan Seacrest Productions collaborated with him on a 5-part Coca Cola campaign, and also made him the official social media correspondent for the 2014 MTV Movie Awards. He has used his influence to raise nearly a quarter million dollars for the Third Project building wells in Africa and most recently collaborated with Opus Label on his own complication CD - Crown Vol 1. I contacted the label to see how well an album could sell on a 22 year olds influence (that isn't a singer) on opening day. iTunes download count was 2006 for the first 24 hours, and it managed to peak at the #12 spot. This was accomplished without ad buys or billboards which are often used by record labels to promote an artists new album. Franta merely created a hashtag to promote which quickly became one of the top trending tweets on Twitter. Social media expert Shannon Self of Toldyaa.com noted "Young influencer marketing is the newest most efficient way to see a return on investment for a product, service or brand. The younger generation typically has the most organic engagement." Many brands see very low conversion rates on celebrity engagement. However social tastemaker followers often have a 40-50% respond ratio. So what exactly does this mean in the grand scheme of things? Brands now have different avenues to promote their products that have a strong possibility of creating better results at a lower price point. That's a great thing for the Connor Franta's of the world. Opportunities to make their tastes matter have greatly widened. Speaking of, Franta now managed by Andrew Graham at Big Frame. Watch out Kim Kardashian. He's not too far behind ya!